Do I qualify for SSDI? Disabled workers in the Tallahassee area are seeking help while out of work because of their condition. Tallahassee disability lawyers Matt Liebenhaut and Brandon Smoot are helping these individuals as they seek some financial stability to assist them and their families’ everyday lives. An unfortunate amount of people find themselves out of work, without the ability to rejoin the work force, due to illness or injury. Our firm represents those hoping to receive both Social Security Disability Insurance (SSDI) benefits as well as Supplemental Security Income (SSI). Both programs run by the Social Security Administration can be critical lifelines for disabled individuals in need of financial support. Consulting with a disability lawyer is a good way to learn whether you qualify for either program. There are different qualifications that must be met to qualify for each of these disability programs. SSI is needs based and is funded though general tax revenues. 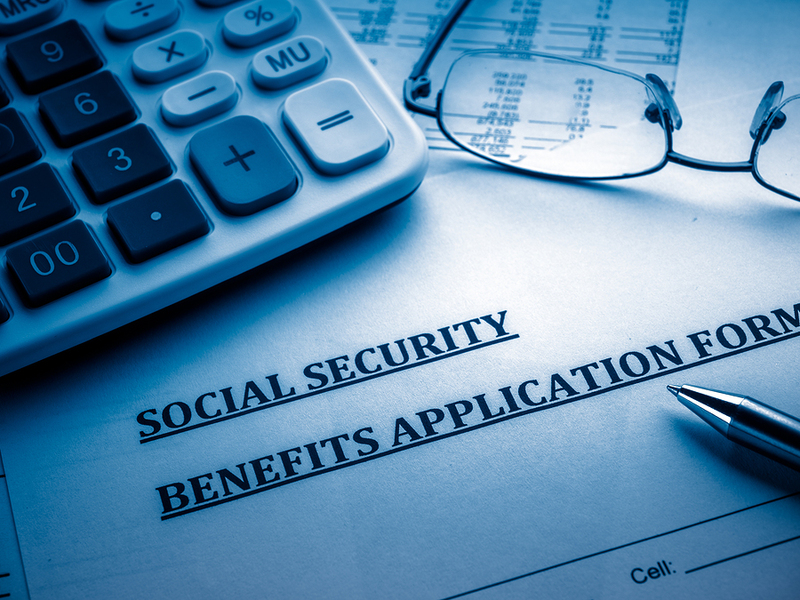 SSDI, on the other hand, is funded through payroll taxes and is based on the work credits paid into the system by the applicant seeking benefits. Typically, SSDI is awarded to individuals who qualify for Disability Insurance, or DI, benefits. To qualify an individual must have proof from a doctor of a medical disability that meets the SSA’s definition of “unable to work.” The other qualifying factor to be eligible to receive Social Security Disability Insurance benefits depends on the number of work credits contributed to the Social Security trust fund by that individual. For work performed after 1978, credits are earned based on the total earnings accumulated within the year as reported by an applicant’s employer. In the year 2016, whether in Tallahassee, FL or anywhere else in the United States, you must earn $1,260 in covered earnings to get one Social Security or Medicare work credit and $5,040 to get the maximum four credits for the year. It is possible to achieve the four credit maximum for a year in less than a year. If you earn $5,040 in January, then you’ve earned the maximum work credits for the year. This qualifies you for the minimum amount of SSDI benefits. Higher earners who have paid in more to the system are entitled to higher SSDI benefits. Most disability law firms are brought on to a case to help prove disability, the medical portion of a person’s claim. But sometimes disability lawyers are tasked with helping to establish that the necessary financial, or “technical”elements of a claim have been met. Generally, the person applying for disability benefits should have 40 work credits, 20 of which were earned in the 10 years prior to becoming disabled. For younger applicants hoping to receive benefits, other rules apply. For individuals below the age of 24 years, the applicant must have six credits in the three years prior to the onset date of their disability. Individuals aged 24 to 31 must have worked at least half the credit from the time they were 21 to the onset date that their disability kept them from working. An example of this could be: Sally, a retail-worker, became disabled on her 25th birthday and was unable to work due to her conditions. Sally would need a total of at least 2 years of work credit since the time she started working when she turned 21, which comes out to roughly 8 credits, to be “insured” by Social Security. Depending on the ruling given by the Social Security Administration determining her ability to work based on the severity of her conditions and past-relevant work, Sally could potentially receive SSDI benefits as long as she has paid into the system with at least 8 work credits accumulated from the time she was 21 to 25 years of age. Unfortunately, we often see young people like Sally in our Tallahassee disability law firm struggling to understand why they have been denied these benefits when they are so clearly and profoundly ill. It is our honor to serve them. For individuals aged 31 to 42 hoping to receive Social Security Disability Insurance benefits, an applicant would need at least 20 credits to be eligible. For every two years added on after an applicant’s 42nd birthday, two more work credits are required. This means that a 44 year-old applicant would need 22 credits; 44 years of age would require 24 credits; 46 years requires 26. This trend continues until the applicant reaches 62 years of age. From this point until retirement an applicant would only need 40 work credits to be considered eligible for SSDI benefits. The Tallahassee-based disability attorneys with Liebenhaut Law focus on disability law and are prepared to represent individuals in need of a critical lifeline of support due to severe illness or injury.